London Dry Gin uit Notting Hill, Portobello Road, waar ook het Ginstitute te vinden is. 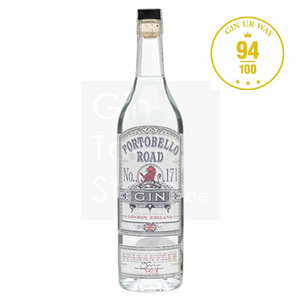 Portobelle Road No 171 Gin is een London Dry Gin uit Notting Hill, Portobello Road, waar ook het Ginstitute te vinden is. Nestled away on the top two floors of a 19th century public house on London's world famous Portobello Road is The Ginstitute: London's second-smallest museum and home to our 30L alembic still, Copernicus the Second. 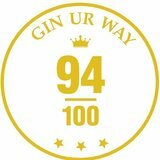 It was here, whilst putting together The Ginstitute, that Ged, Jake and Paul decided that if they were going to provide this experience it really wouldn't be complete without a gin which could call The Ginstitute home. In the nine months of experimentation that followed the character of the gin was slowly created - a little more of this, a little less of that, this one makes a nice Martini, that one makes a nice Negroni, well you get the picture. Slowly but surely something we could be proud of emerged. Thus Portobello Road No 171 Gin was born. Our base spirit is distilled here in England from English-grown wheat. Our nine botanical ingredients come from around the world; these include juniper berries and orris from Tuscany, Spanish lemon peels, bitter orange peels from Haiti or Morocco, nutmeg from Indonesia and cassia bark from South East Asia. Bottled at a punchy 42% ABV these ingredients combine to create a uniquely versatile gin, with enough of those robust gin flavours like juniper, citrus and coriander to make a gin & tonic that tastes of gin not just of tonic, enough elegance to work in a Martini and because of the spices we use, enough depth of character and intensity to work in drinks like the Negroni or the multitude of modern cocktailian creations where it's going to come up against other powerful flavours. Copernicus the Second, being somewhat diminutive in stature and volume, the decision was taken to find somebody with the knowledge, talent, artistry and wherewithal to distill Portobello Road Gin on a larger scale. This was when we were lucky enough to find ninth generation distiller and former chairman of the Worshipful Company of Distillers, Mr Charles Maxwell - a man whose family have been involved in distillation in London for over 300 years and the owner of The Thames Distillery in South West London. Born on something of a whim, Portobello Road Gin has quickly established itself as a favourite amongst connoisseur consumers, bartenders and gin fans everywhere. Taking home a Gold Medal from the 2014 San Francisco Spirit Awards, it seems the judges are fans too. Jeneverbessen, citroenschil, bittere sinaasappelschil, korianderzaad, liswortel, engelwortel, cassia schors, zoethout en nootmuskaat.